Fashion Round Cut Diamond Rings Are More Expensive! Every diamond ring buyer out there wants the most dazzling stone and a perfect round brilliant cut – these are referred to as the most sparkling diamond shapes. This is the reason why women prefer a round brilliant diamond cut as their engagement or wedding ring centerpiece. According to research, more than 75 percent diamond rings sold in the market are round cut rings. Though round brilliant diamond cut is quite popular compared to any other shape, the popularity is not the key aspect that drives up the stone price. In fact, it takes a larger rough diamond to cut a round brilliant diamond compared to any other shape. A lot of rough stone is lost while cutting the diamond stone into a round shape so the price for each carat of a round cut diamond is comparatively higher than any other diamond stone shape. This is the prime reason why round cut engagements rings are more expensive. On the other hand, the higher demand of a round cut diamond stone plays a secondary role in alleviating its price. Check round cut diamond guide here! While they are mined, most of these stones do not come in flawless shape so experts try getting the most out of the rough stones they acquire. Fancy shapes and diamond colors can be extracted from an uneven rough stone but a round brilliant diamond can be cut out of a rightly shapes rough diamond block. Some of these rough stones carry specific inclusions within them, which makes them get lower quality grades and, as a result, are sold at lower prices. Round cut diamonds are 25 to 30 percent most expensive compared to other shapes. 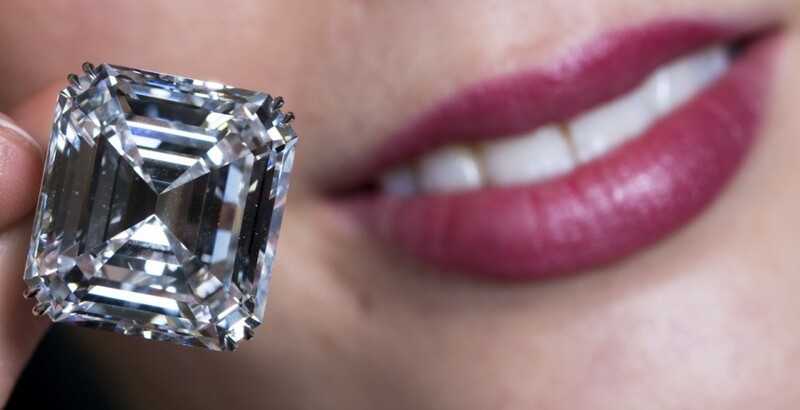 Choosing a fancy shape and specific diamond color saves the buyer more than 25 percent. Below are the figures that indicate how diamond shape affects its price. The aforementioned numbers are just an average price of a 1 carat, G color diamond with VS2 clarity and an extremely good cut. The shape is as imperative when buying a diamond and it directly influences the price. According to research, nearly 30 percent of all the engagement rings are created using fancy diamonds. Round brilliant cut diamond has 58 different facets including the culet. On the top part of a diamond, it has 1 table facet, 8 stars, 8 bezels, and 16 upper girdle facets. The bottom part has 1 culet, 8 pavilion facets, and 16 lower girdle facets. These 58 different facets work as an optical prism and that is the reason why the round shape diamond gives more sparkles than any other shape. For this reason, every 3 out of 5 women prefer having a round diamond engagement ring. Round cut is a classic diamond shape. Centuries have passed but it is still high in demand. This shape is evergreen!